The best way to motivate and engage employees is with rewards and recognition. We are now in a war for talent, and each organization is now trying to retain and engage its workforce in sustaining and gaining dominance in the ever-changing market. It is a natural tendency for human beings to think and consider any job that offers a return of their choice. Rewards and recognition have always prevailed in the organizational structure. However, in the recent few years, it has been noticed that it is quite a powerful tool that can change not only the brand name but productivity as well. 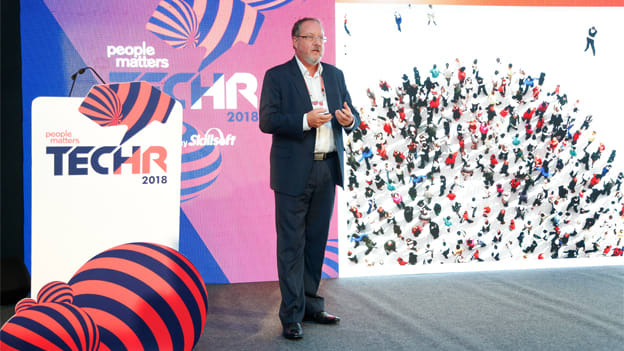 In People Matters TechHR’18 orator John Sylvester, Chairman Sodexo - Employee & Consumer Engagement addressed the crowd on how R&R can change employee engagement along with the current and future work environment. There are two critical aspects to be recognized while planning for any rewards: Communication and motivation. What do we mean by motivation and programme development? Running a motivational program is easy. However, communication is the only channel for its success. Motivation means different things to each person and organizations need to understand the balance between necessity and requirement to provide the best rewards for employees. Before finalizing any plan or programme, it is crucial to determine the five most significant questions - what to do, why to do it, how to do, how is the performance and what is in it for me? Once the ground has been set, it is easier to communicate the requirements and peek the interests of employees. “Chart out an action plan that informs of the KPIs and metrics required and then plan for rewards which will deliver primary value-based benefits and recognition that will provide status and acknowledgment that fit in your culture and objectives. With effective communication, organizations can motivate the workforce which will in return increase productivity, staff loyalty, customer retention and sales leading to profitability and growth,” said John. To gain growth, it is essential that an organization’s workforce be motivated and enthusiastic about their work. There are two motivators: monetary benefits and non-monetary benefits. The fact is that monetary rewards can create conflict amongst employees, and it hampers remuneration and budget. While non-monetary rewards like vouchers, merchandise or individual travel will be standard for all and provide the liberty to choose as per the requirements of an individual. The critical role of planning any rewards and recognition is to focus the efforts on changing behavior and outlook of average performers along with providing the right attention to your top performers to gain the best ROI. A notable change can be induced with the help of R&R, and human resources must take full advantage of the opportunity the current market offers.